A dairy free, vegan ice cream that takes just 30 seconds to put together, and it's full of nutrients, too. This post contains some affiliate links. This means that if you decide to click on the link and make a purchase, I may receive a small commission that goes back into keeping the blog running. Thank you for your support. When my kids ask for pudding after they've had their dinner, I always try and offer them a banana, or a snack from the fridge. Some yoghurt and honey, some blueberries. You know, something healthy. When all they really want is ice cream. This is healthy ice cream. I saw Jenny, from The Lunchbox Doctor one day, on Instagram, having blended up a banana and lots of other fruits and berries and made home made ice cream. Tara, from The Paleo Cajun Lady did something similar in her ebook, too. 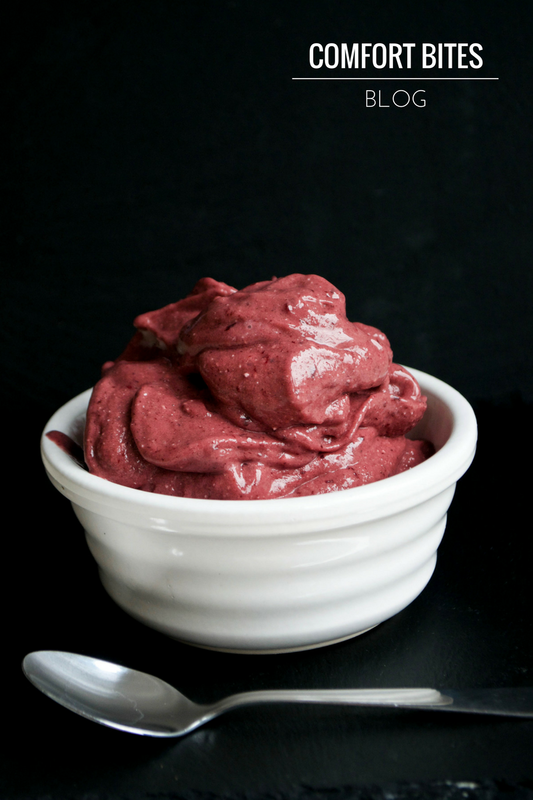 I made a banana-based ice cream in my ebook AIP and Paleo Comfort Food. Bloggers on Instagram are sharing their vividly coloured takes on this easy way to create ice cream from the frosty contents of their freezer every day. And so I followed their leads and made this. It's sweet, but in a natural way. You don't need any sweetener to add to this at all. The vanilla gives it a slight sweetness and toffee-like flavour and there's that beautiful pink-purple colour, too. 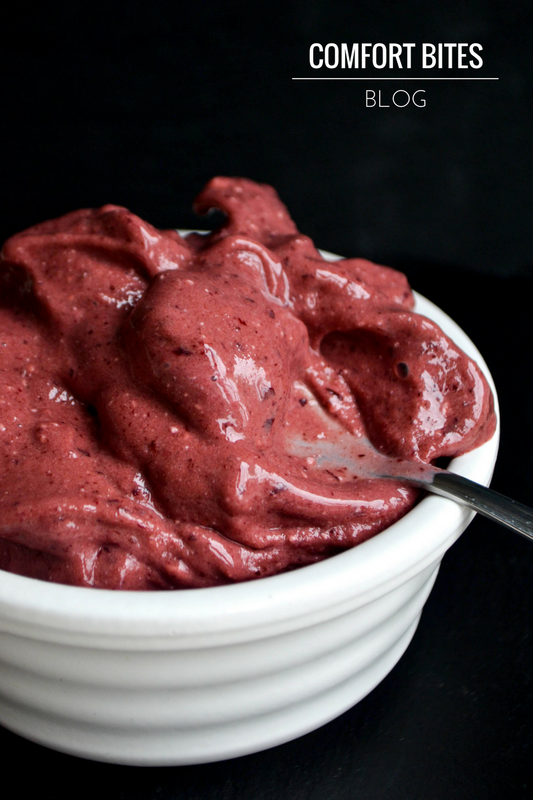 Add all the ingredients to a blender and blitz until smooth. You might need to scrape the sides down a little between pulses, to make sure it all blends. If it looks a bit stiff, add a tiny bit more coconut milk. Scoop into bowls and eat straight away. 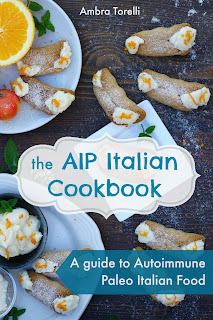 If you're inspired by the idea of this slightly Italian-inspired recipe, you'll love Ambra Torelli's ecookbook, The AIP Italian Cookbook, packed with recipes including lasagne, pizza and cannoli! Find out more here. What are your favourite 30 second blender ice cream combos?